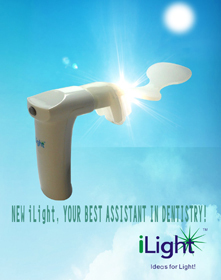 Shining Suction is the only dental light that delivers continuous illumination, aspiration and retraction all in one easy-to-use, time-saving device that makes isolation easy and provides uninterrupted access to the patient. Shining Suction helps you work faster, brighter and drier. 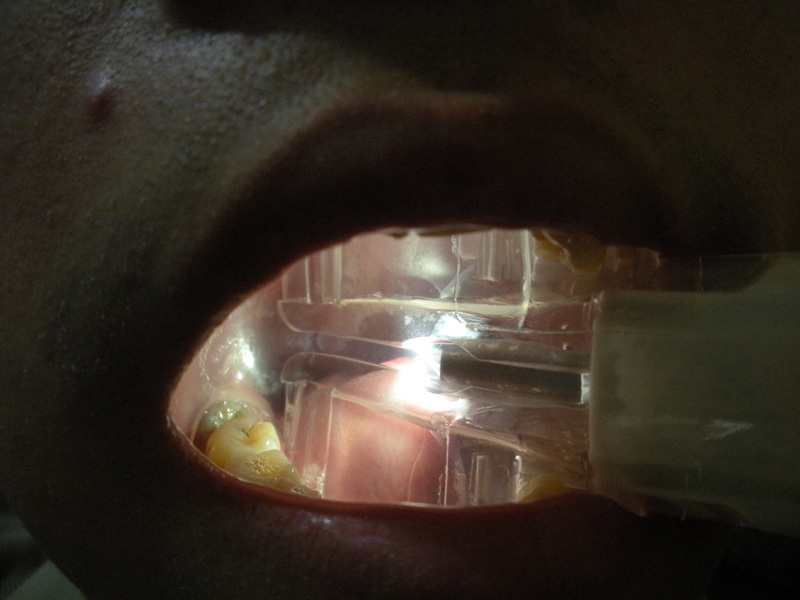 By lighting the patient's oral cavity from within the mouth, Shining Suction provides a unique, shadowless illumination solution that benefits both practitioner and patient. New LED technology and the streamlined design of Shining Suction completely eliminate the need for light box and fiber optic cable. The Shining Suction LED light source lasts more than 10,000 hours. 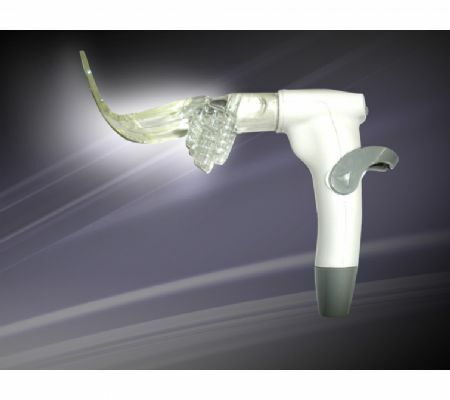 The ergonomic design of Shining Suction reduces fatigue and repetitive stress associated with retraction, suctioning, eyestrain, and motion spent adjusting headlights, overhead light or otherwise positioning the patient for better access or visibility. •Wide open mouth and continuous aspiration mean swallowing, spitting or closing of the mouth no longer interrupt the flow of a procedure. •You love your patients, but some of them talk, and talk. 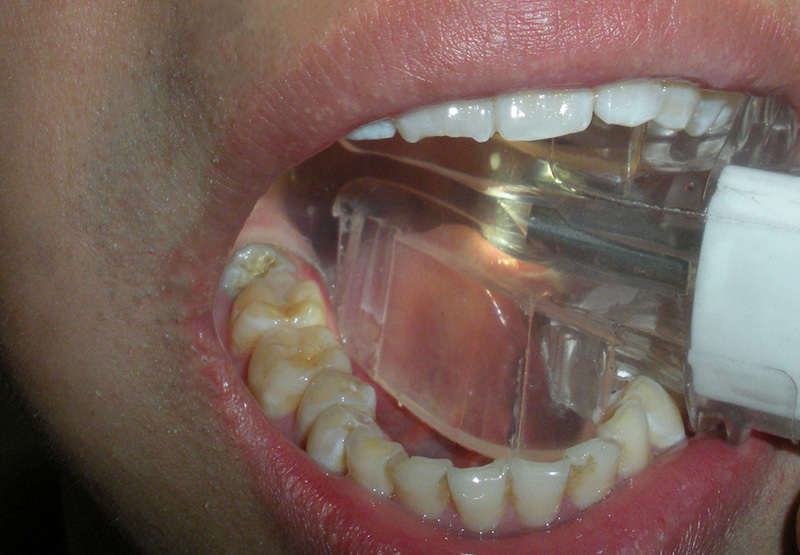 The comfortable bite block of Shining Suction puts you in control of the conversation. •Time wasted repositioning the chair to accommodate sit-up/spit-out is a thing of the past! •With Shining Suction, dental practices are able to schedule more procedures in a day and thus generate more profit in the same amount of time. •Shining Suction automates the routine tasks of aspiration and light management, allowing everyone to be more productive in the same amount of time. •The trans-illumination qualities of Shining Suction provide the opportunity for doctors to identify and diagnose additional problems and often treat the unscheduled work in the same appointment.